We'd love to talk to you and see how we can help. Call us at 1-800-708-6413 and we'll do our best to help you succeed. If you are feeling phone shy you can also always email us as well. Is your current plan too big? If you are on a plan that feels too big for your needs you can easily change it to a smaller plan right from the settings section of the dashboard. If you can't find a a plan that suits your specific needs, call us directly at 1-800-708-6413 and we'd be happy to customize a plan directly for you. Can't find the feature you want? We'd love to hear your feedback on how to improve the product. We spend all day working to make the best product possible for you. What you suggest matters to us deeply. Can't get your PayStand to look the way you want? We think having your PayStand blend seemlessly into your site, social networks, and blogs is extremely important. We know the look and feel of your organization is extremely important to you. 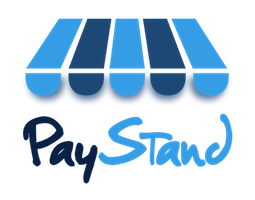 Call us at 1-800-708-6413 and we'd be happy to help you make PayStand look the way you want it. No Sales or Traffic yet? We know how hard it is when you are just getting started. In fact helping you get off the ground is one of the reasons why started PayStand. Call us at 1-800-708-6413 and a business coach will help get you the resources you need to succeed. Still want to close your PayStand account? You will be asked a few questions to verify that you are ok with loosing your items and saved work. Note: if you have a Facebook Business Page tied to your PayStand, you will still need to uninstall the PayStand app tab from your Facebook Page separately. See Facebook's article on how to remove app tabs. Why do I have to cancel my PayStand account from my dashboard? We value your security very highly. To ensure that someone is not impersonating you with a false email or support request, we require you to login directly to your PayStand dashboard to begin the cancelation procedure (see above). How do I remove my PayStand from my Facebook Page? Removing the PayStand app from your Facebook page is done through Facebook, not your PayStand dashboard. You can re-add the app at any time.